Oh yes indeed. Everybody knows these cheeky buggers. They’re gaming’s most adorable ghosts, with their hiding-faces-in-their-hands-like-a-three-year-old shenanigans. The last thing you’d ever expect to KILL YOU RIGHT IN THE FACE. 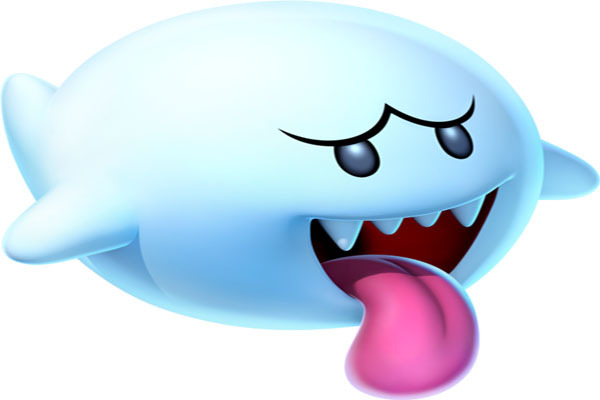 The Boos made their first appearance in Super Mario Bros. 3. 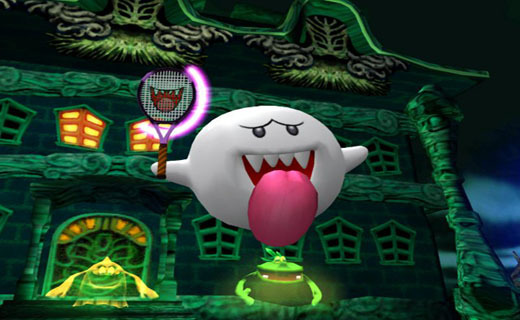 Back then, their official name was the puntacular ‘Boo Diddleys,’ and they’d dwell in the dark levels of World 8. From this inaugural encounter, all of the Boos’ trademarks were in place: they hide like big girls when you look at them, they careen murdererously at your face when you don’t, they’re pretty well impervious to attack, and they’re just all-round ghostly pains in our big ol’ Italian butts. Later, with Super Mario World, they learnt a new trick. There, they were found within not-so-fiendish Ghost Houses. These twisty-turny, deceptive levels were packed with hidden doors and dead ends, and more of those freaking Boos. The little buggers loved to fly around your cranium in formation, safe in the knowledge that your standard jump right on their darn faces combat tactics wouldn’t work at all. The plucky poltergeists’ finest hour came in Luigi’s Mansion. This Gamecube launch title saw them dethrone the mighty Bowser as antagonist, and their king kidnap Mario himself. The underlings were safely ensconsed in the mansion’s rooms, detectable only by use of Luigi’s radar attatchment. They couldn’t fight as such, but did have a knack for tricking you and trying to blow your dumbass moustache off with a Boo-shaped bomb. On ocassion, the Boos will stop their dastardly antics and join the rest of the Mushroom Kingdom in some sports. They’ve appeared in such spin-offs as Mario Hoops 3-on-3, Dance Dance Revolution: Mario Mix and Mario Tennis. In a sneakier capacity, of course, such as the Tricky class of tennis player (able to bend the ball like a racquet-flailing David Beckham), but they are there. The devious dudes have become more iconic, and more central to the series, over the years. In the Mario Galaxy games, our hero is given a new power-up which transforms him into one. As you nonchalantly cruise through that first wall as Boo Mario, you realise how awesome it is to be one of those tiny ghosts. Next articleNew Maplestory Spin-off Revealed, First of Many?